The new football season is about to kick off and it's time to launch The Greenhouse's annual photo competitions! There are great prizes to win... TWO latest model Huawei smart phones, thanks to Huawei Australia for the pics of the year. Click here to check Huawei's product range. The winners of pics of the year in each category will also receive their choice of a home or away Canberra Raiders jersey thanks to Jerseys Megastore. Shop on line for your Raiders merchandise at www.jerseys.com.au. Or shop in person at 17 Iron Knob St Fyshwick! Follow them on Instagram @jerseys_megastore and on Facebook @JerseysMegastore. What pictures do I send in for #WearGreen2019 or #FromAllAngles? The #WearGreen2019 competition is for pictures of you, your friends, or your pets decked out in green. It can be at a game or in front of the TV, anywhere you like. Met a Raider after a game and had your pic taken with him? Send it in! Going to a Raiders game? Watching in front of TV? Going to a Raiders event? Want to share the experience? Send us a pic of the view from your seat! The #FromAllAngles competition is for pictures of Raiders games or events from where you sit. You must accompany your pics with either the #WearGreen2019 or #FromAllAngles hashtags. Post your pic here in this thread, on The GH Facebook group, or on Instagram and Twitter, using the hashtag. If you want to make sure your photos are noticed, it helps to tag in @TheGHRaiders! Photos must be posted publicly. By using the #WearGreen2019 and #FromAllAngles hashtags you enter the competitions and you agree that The Greenhouse may share your pic on Facebook, Instagram and Twitter and on thegh.com.au. We do our best to share as many entries as we can. The pic of the year for #WearGreen 2019 and #FromAllAngles will each receive a latest model Huawei smart phone and your choice of a home or away Canberra Raiders jersey. The winner of the #WearGreen2019 pic of the year will also receive breakfast for two to the value of $50 from Idelic Cafe at Kingston. Idelic is a locally owned cafe in the heart of historic Kingston, located at 62 Giles St, Kingston. 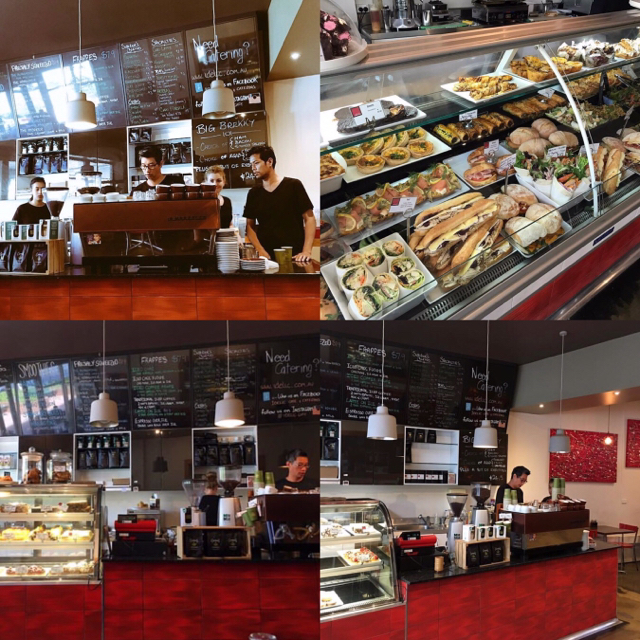 Great for breakfast and lunch and some of the best coffee in Canberra... and your catering! Follow them @IdelicCafe on Instagram and on Facebook. Find out more at their website: www.idelic.com.au. We'll be deciding the winners a little differently this year. At the end of each month... February to September... an Administrator of The Greenhouse will select a finalist for pic of the year in each of the two categories. The pics of the year will be decided by a panel of GH Administrators. If you're a finalist, you'll be free to encourage your friends and families to LIKE your pics on Twitter, Instagram and Facebook... but LIKES won't determine the winners - given we experienced some problems with assessing valid LIKES last year. Pics posted with the relevant hashtag from 8 February will be accepted as entries. If you have any questions, let us know! 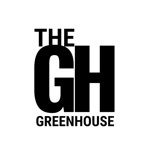 The Greenhouse is an independent Canberra Raiders supporters site and is not officially affiliated with the NRL or the Canberra Raiders. If you’re a business owner who would like to add one of your products to our prize pool, please let us know! We will advertise your sponsorship every week! Are you going to the first trial of 2019 tomorrow night at St Marys Leagues Stadium #Canberra #Raiders fans? Or watching on line? Don’t forget your #WearGreen2019 and #FromAllAngles pics! Here are some pics from the Raiders Fan Day and training this past week! Post your pics, use the hashtags and we will do our best to share them! Major prizes of a latest model smart phone in each category thanks to Huawei Australia for pics of the year! Today we’re announcing Idelic Cafe, Kingston is adding to the prize pool... and the winner of the #FromAllAngles pic of the year will also receive a breakfast for two to the value of $50. Major prizes for pic of the year of a latest model smart phone thanks to #Huawei #Australia @huaweimobileau. Plus a home or away Canberra Raiders jersey thanks to @jerseys_megastore! #Canberra #Raiders fans, here’s our first finalist for February for our #WearGreen2019 “pic” of the year... Repost from @jonisdangerous - Second coldest place on earth to Bruce Stadium! Whilst the lads are busy dying in the heat this pre-season, here in the Chi we have -25f with a windchill factor taking us to -57f! Took a hot minute risking the old frostbite (could probably stand to lose a bit off the ol’ shnozz anyways !) to throw a bit of boiling water around. Let’s see what happens...? Major prizes for pic of the year of a latest model smart phone thanks to #Huawei #Australia @huaweimobileau. Plus a home or away Canberra Raiders jersey thanks to @jerseys_megastore! And breakfast for two thanks to @ideliccafe at Kingston!